The play-offs start a week on Saturday and Penicuik, fresh from a convincing 4-0 win over Tweedmouth Rangers, know a point against Musselburgh at home will be enough to clinch the Conference crown and a place in the play-offs. Hill of Beath are waiting in the wings ready to capitalise on any slip-ups and play Newtongrange Star on Tuesday. Hill of Beath play their last league game this Saturday away to Easthouses Lily. Penicuik‘s play-off opponents next Saturday could be either Broxburn or Linlithgow Rose, with both of them playing their last Conference C league game this Saturday. 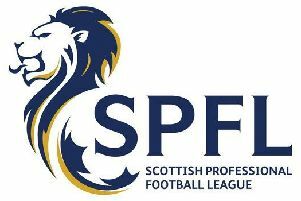 Broxburn are two points better off than Linlithgow going into their final league games, with the leaders away to Stirling university (EOSFL), while for the Rose it’s a home game at Prestonfield against visitors Jeanfield Swifts. Meanwhile, Arniston Rangers were first to cross the finishing line this season with their last game last Saturday away to Oakley United where Arniston lost 3-0. Dalkeith Thistle will wrap up their season with meetings with Crossgates and Bo’ness United to come. 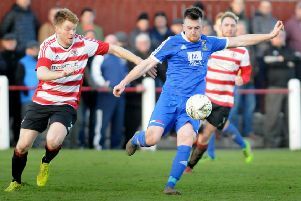 Newtongrange Star made a swift exit from the League Cup after losing 8-7 to Bo’ness United on penalties. With promotion to next season’s East of Scotland top flight already in the bag, they bring the curtain down on their league season at home to Coldstream next Saturday. The Star have a Cup tie still to play against Sauchie away in the King Cup third round after Sauchie beat Easthouses 4-1 at the Newbattle Complex last Friday evening in a second round tie. Penicuik were awaiting the winners of the first round League Cup tie due last night Wednesday 17 April at New Dundas Park, with Bonnyrigg Rose hosting Haddington Athletic for a showdown against Cuikie at Penicuik Park on Monday, April 22. Penicuik are set to host Linlithgow Rose in the King Cup third round on the first Saturday of May. Bonnyrigg Rose lost their unbeaten league tag last Saturday in their penultimate league fixture when they were beaten 3-1 by the visitors Bo’ness United at New Dundas Park. The Rose finish their league campaign this Saturday at home to bottom of the league Eyemouth.